EventSource announced the full schedule for the seventh annual edition of Festival Cubano, which will be held from Friday, Aug. 12th to Sunday, Aug. 14th on the beautiful grounds of Riis Park, intersection of Fullerton Avenue and Narragansett. Actual performance times will be posted on the Festival’s website, www.thecubanfestival.com, days before the event. 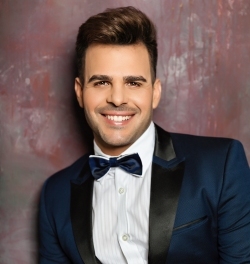 Cuban-American singer and two-time Lo Nuestro Award nominee —for Tropical/Salsa New Artist and Best Salsa Artist in 2014— Juan Esteban will headline the Festival on Friday. Further details of this event will be announced closer to the Festival dates. To purchase tickets or to check out the full schedule, visit thecubanfestival.com.